With this Saturday being Cinco de Mayo, it’s got me craving a little Mexican food. I love Mexican food but try not to eat it too often because of all of the fat that comes with it. Making Mexican food at home can be a great solution because you are in control of the ingredients and can make it as healthy or decadent as you want. 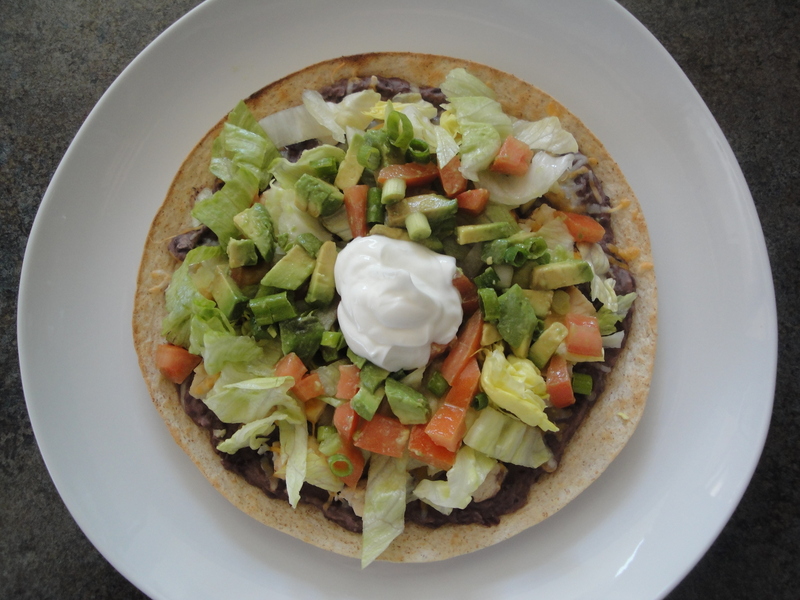 These Soft Black Bean Tostadas are easy to make and are a great way to start the Cinco de Mayo celebration. 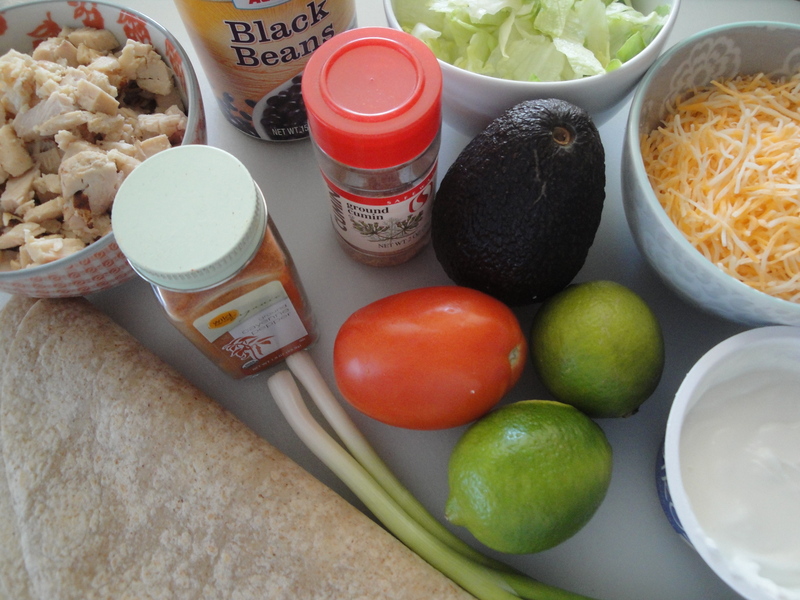 Black beans are blended with spices and lime juice, and then smothered over a soft tortilla and topped with chicken and cheese. After a quick trip under the broiler, the tostadas are topped with a homemade salsa, scallions, lettuce, and sour cream (I used Greek yogurt). The salsa, made with avocado, tomato, scallions and lime, provides a fresh accent and the sour cream (or yogurt) brings that creamy coolness that tastes so good with Mexican food. To keep calories down, consider using lowfat cheese, whole wheat tortilla, and either lowfat sour cream or fat-free plain yogurt. 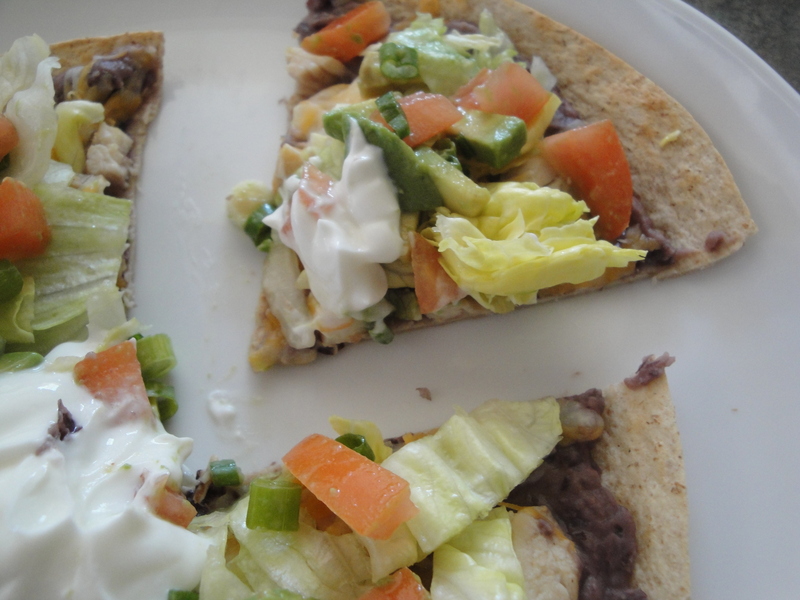 Just make sure to keep some napkins nearby because these tostadas can be messy. But they are so good, you won’t mind using your fingers to scoop up stray lettuce and salsa. Have this with a fruity margarita or your favorite Mexican beer and celebrate Cinco de Mayo! 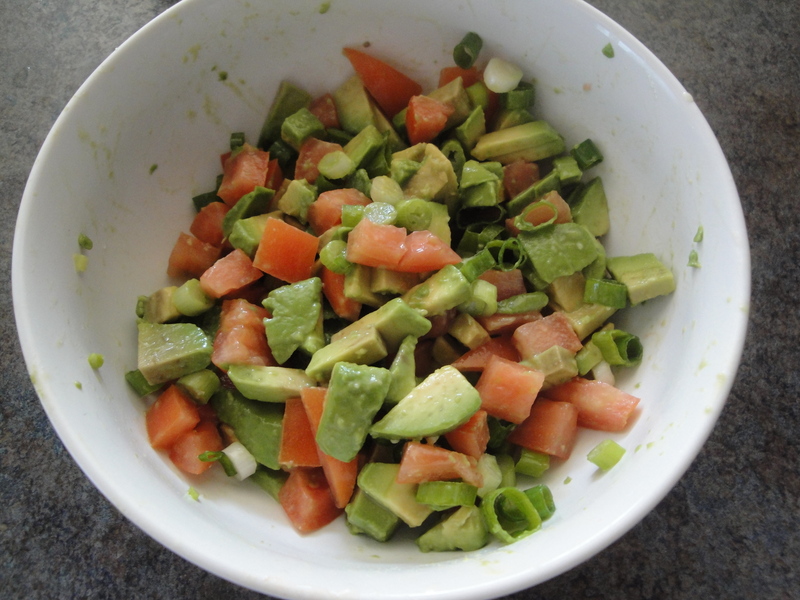 Combine avocado, tomato, scallions, lime juice, and salt in a small bowl and set aside. 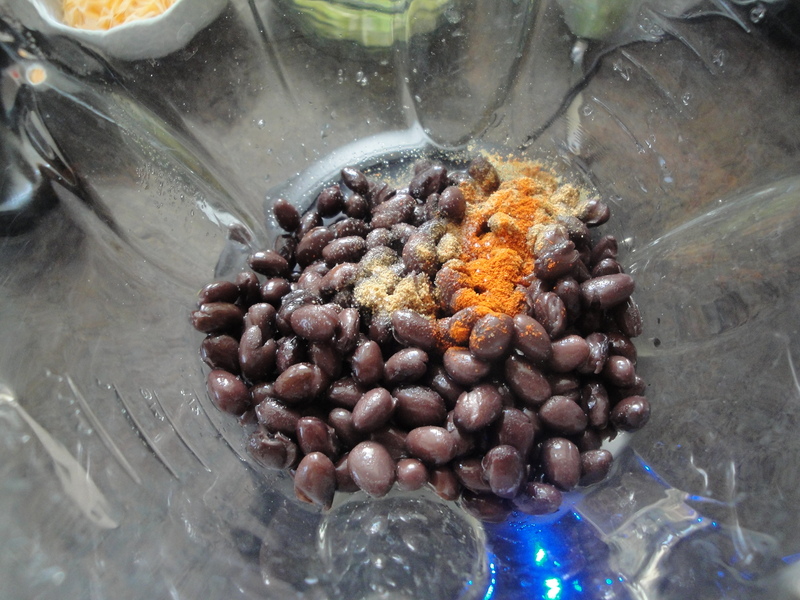 Combine 2 tablespoons water, lime juice, cumin, salt, cayenne pepper, and black beans in a blender and process until smooth. 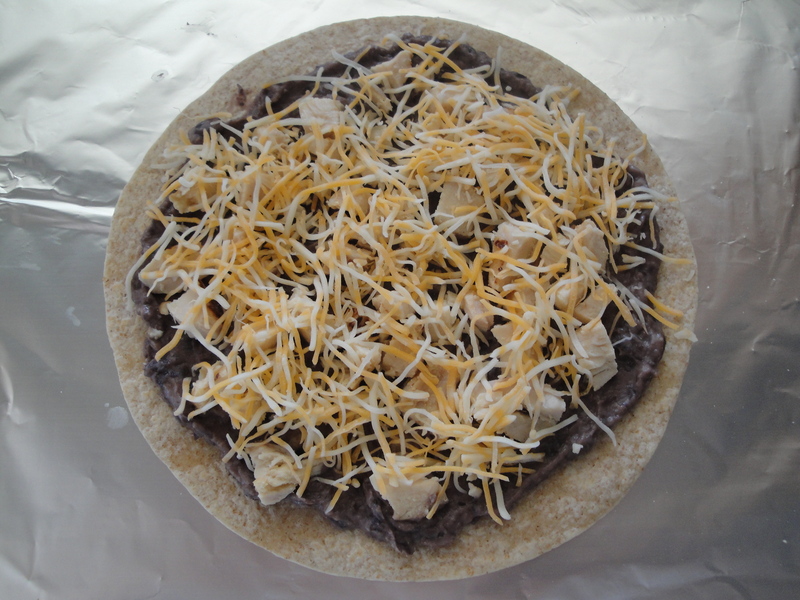 Spread about 1/4 cup black bean mixture evenly over each tortilla. 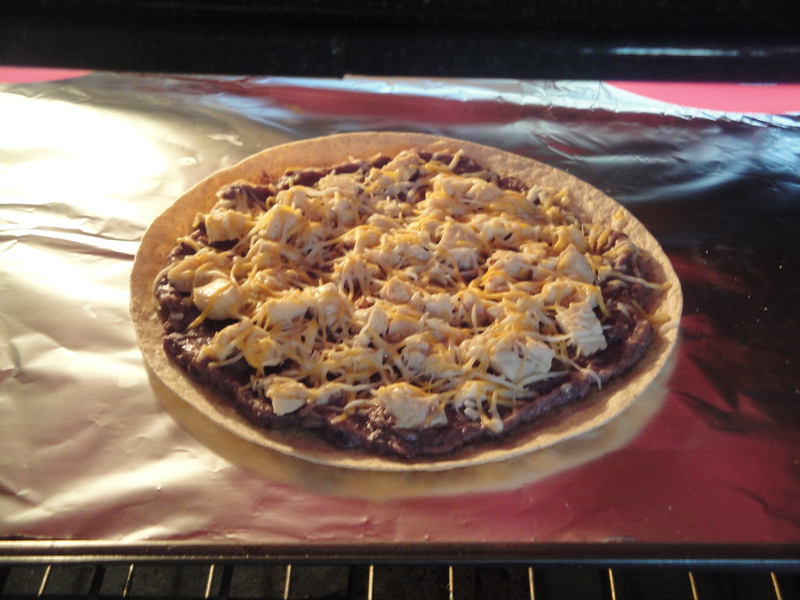 Top each evenly with 1/4 cup chicken and 3 tablespoons cheese. Broil 2 minutes or until cheese melts and tortilla edges are just beginning to brown.